RCA interconnects are the connection between your amplifier and your source unit. Poorly constructed RCA interconnects can inject noise into your system like radio frequency interference that deteriorates the sound quality of your system. 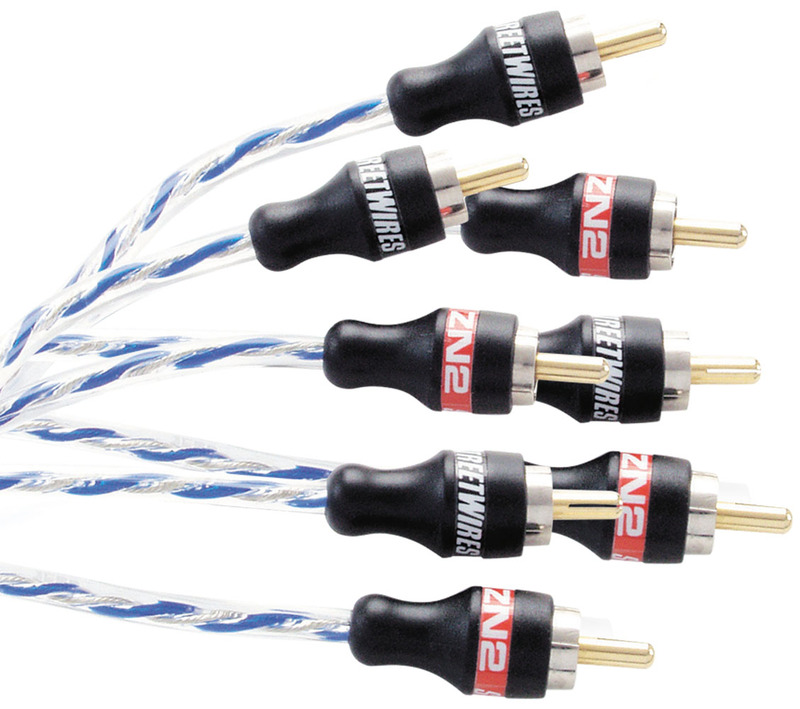 Choosing StreetWires ZeroNoise interconnects is the best way to get a strong connection to your amplifier for maximium signal transfer and to reject interference for maximum sound quality. The ZN2604 is a 4-channel, 6 meter RCA interconnect that is designed to work best with four or five channel amplifiers delivering full range signal from the source. The ZN2604 has features including twisted pair construction that rejects noise, a parallel jacket tha protects the wire, and a sure grip body that securely connects the RCAs to the source and the amplifier. Your system can only be as good as its weakest link. Interconnects are often an after thought in system design but they can make the difference between a system that sounds good and a system that sounds great.